Bulwark Transport operates specialised equipment on a dedicated basis for its customers. The company can assist with providing tailor made transport solutions. 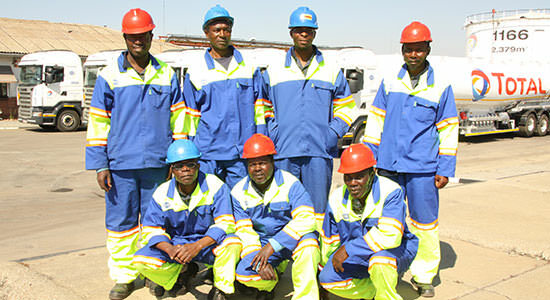 As a division of Unifreight Africa Limited, Zimbabwe's largest transport operator, Bulwark is able to provide a varied range of resources and equipment, managed by highly experienced, well qualified and trained personnel as well as a supporting infrastructure that is designed to keep customers' fleets on the road. Bulwark's solutions are based on very careful investigations which define the customer's requirements. Once these are agreed the vehicle fleet can be correctly specified and procured, drivers trained and supporting management, maintenance and safety procedures put in place. The result is a service that is solely identified with the customer, including the vehicle livery, but which leaves the burdens of transport management and maintenance in the hands of the specialists. Not only will your fleet be tailored to your requirements, but in many cases, your valuable capital will be released for investment and expansion. Bulwark will maintain service, repair and manage vehicles for you. Time and energy consuming problems are taken off you, releasing your staff for more profitable activities. Bulwark supplies you with experienced drivers. Highly trained personnel are good ambassadors for you on the road. You are spared problems arising from absenteeism, unreliability and wages administration. Bulwark encourages customers to have their own company colours on all vehicles, and maintains paintwork. Your company loses none of its identity and the good condition of paintwork reflects well on your company’s image. Bulwark has international experience and expertise. A smooth, efficient service means greater profitability. Problems are solved by experienced personnel. You retain control over daily use of the fleet.